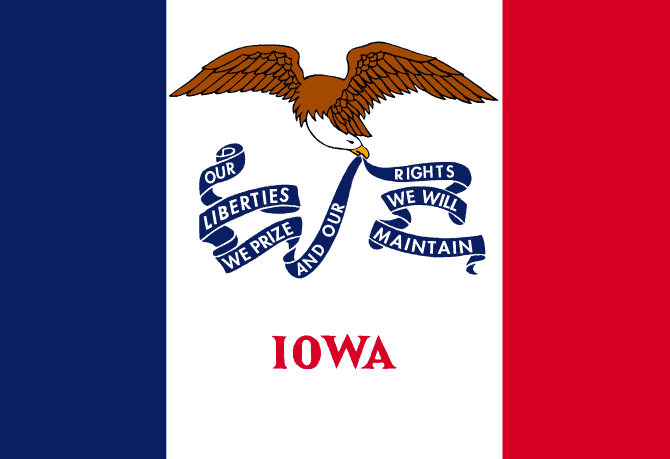 Having comprehensive Iowa Landlord Forms is essential throughout every tenancy. The lease is the most important document in the landlord tenant relationship. The professionally created lease agreement provided by the American Apartment Owners Association will save you the costs associated with having your attorney draw up your residential rental agreement. It will also comply with the Iowa Uniform Residential Landlord and Tenant Law regarding wording of a lease agreement. The Residential Lease not only spells out the terms of the lease, it gives details of the rights and responsibilities of each of the parties to the lease agreement and protects both you and the tenants during the course of the tenancy. The Move In/Move Out Checklist details the condition of the property before the tenant moves in and again after the tenant vacates the premises. Both you and the tenant each note the condition of the property, making a written record of it. This allows you to deduct any part of the security deposit and give an itemized description of damages when you supply the tenant with the Disposition of Security Deposit. However you must only deduct the cost of repairs or damage that is the responsibility of the tenant or the tenant’s guests and not due to normal wear and tear. When you need to enter the property you cannot just show up at the door and demand that the tenant let you in. You also cannot enter the premises if the tenant is not at home unless proper written notice is given. Having the Notice of Entry always available on hand provides you the necessary form to let tenants know when you need to gain entry to make repairs, inspect the property or for other legitimate reasons. It is important to know that you cannot violate the tenant’s right to peaceful enjoyment and demand entry at unreasonable times or to repeatedly demand access to the premises without just cause. There are times when the tenant may not turn out to be an ideal tenant after all. You may have to demand that a tenant take specific actions to correct non-compliance with the terms of the lease or for other necessary reasons such as having pets if you do not allow them in your rental properties or failing to maintain the lawn. Perhaps the tenant has moved other people in who are not parties to the lease agreement or has sublet the premises. The Notice to Perform or Quit forces the tenant to correct an issue and gives you grounds for legal action in the event of continued non-compliance. If the tenant is late on paying the rent, you may wish to first issue the Past Due Rent notice to your tenant. Perhaps the tenant simply forgot to pay as can occasionally happen. The Notice to Pay Rent or Quit forces your tenant to pay past due rent or vacate the premises. If the tenant fails to pay the delinquent rent or take necessary corrective action, it is imperative that you have the Notice of Termination of Tenancy available in your Iowa Landlord Forms to serve on the tenant. This will serve as the three days’ notice to vacate the premises. If the tenant still fails to pay the rent and any late fees, you may commence with an eviction action and use the Iowa Landlord Forms from their tenancy as evidence should the need arise. The American Apartment Owners Association provides landlord forms nationwide. Looking for a state other than Iowa?